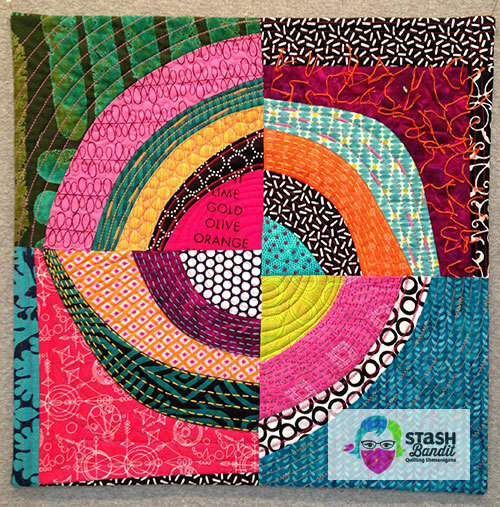 Try a Mini Quilt Swap for a Good Cause! I used to manage something called the Quiltmaker Scrap Squad, and that’s where I met Beth Helfter. As part of a team that made scrappy quilts from QM patterns, she was consistently enthusiastic and funny. She made wonderful quilts! 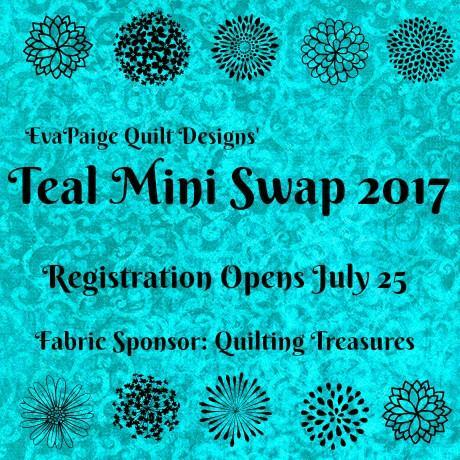 Beth Helfter of EvaPaige Quilt Designs runs a mini quilt swap to raise funds for ovarian cancer research. A few years back she started a swap to help raise funds for research into ovarian cancer, which took the life of Beth’s mom way too soon. The swap has grown and flourished. I’ve joined in a couple of times and it’s always fun and interesting. I’m inviting you to join in too! Your skill level doesn’t matter, though you’ll want to do your best work. Just above is the quilt I received in last year’s swap from Lorrie Landgon, a quilter in Mississippi. 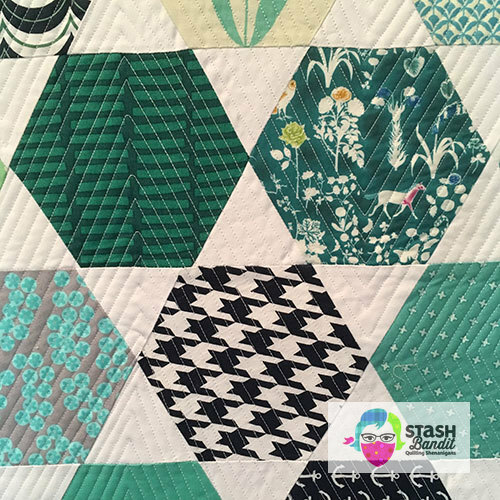 The top left hexagon shows the teal fabric that was to be used in every swap quilt. 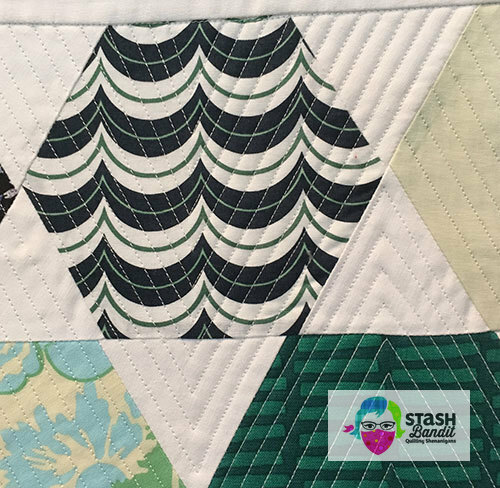 When you sign up for the swap and pay the $15 fee, you receive by mail a piece of this year’s swap fabric, which is teal in color to represent ovarian cancer. 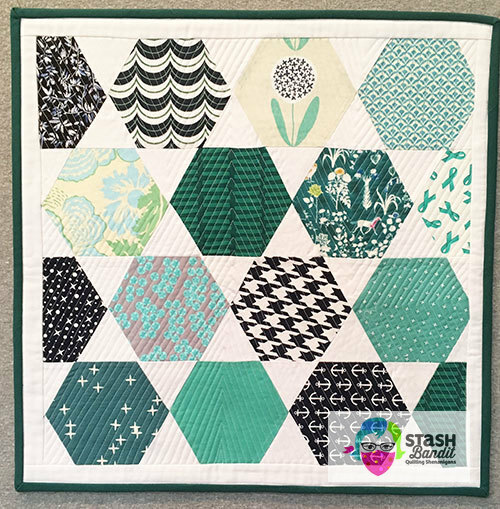 The fabric from last year is shown in the top left hexagon above. 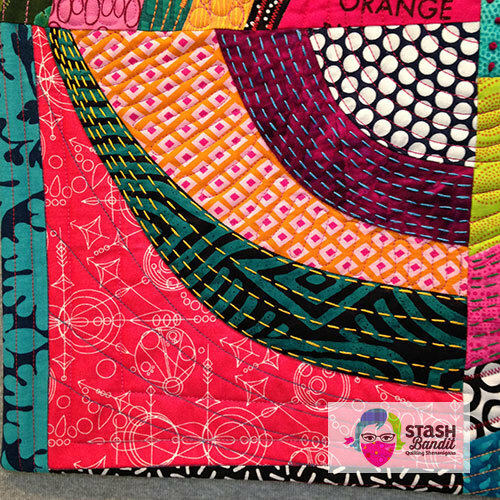 This year’s fabric sponsor is Quilting Treasures. I applaud them! 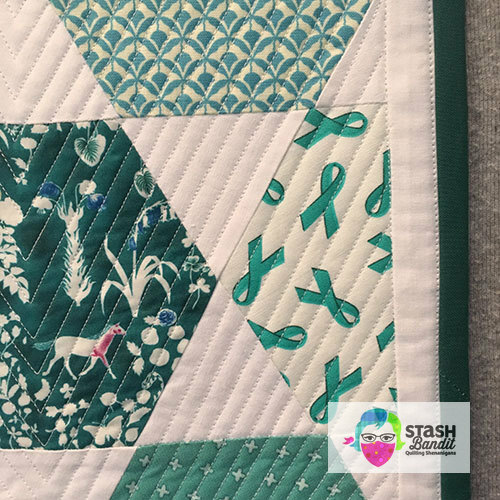 Lorrie also included fabric with little teal ribbons on it to represent ovarian cancer. What a nice touch. 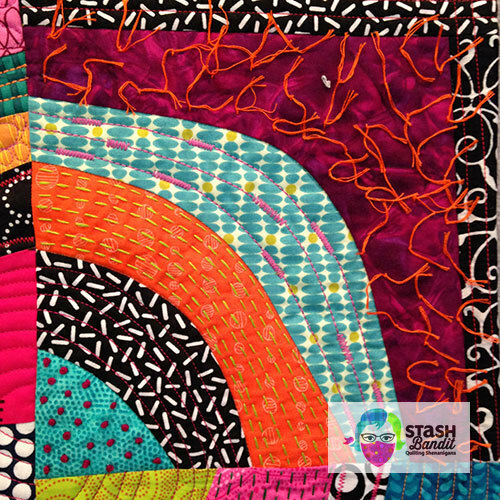 Lorrie used a variety of interesting fabrics and did really nice machine quilting. I adore this little quilt! 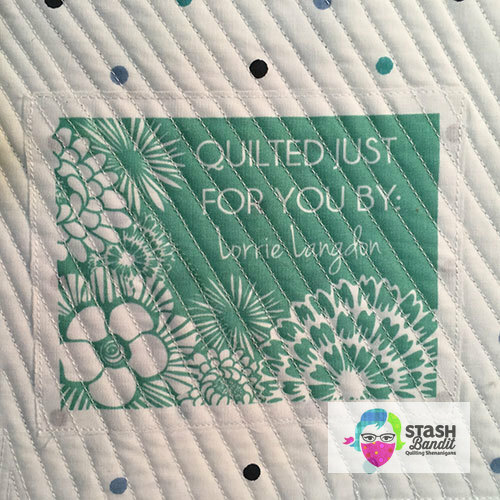 Her quilt label was a pretty finishing flourish! I made Lorrie the quilt below. It’s about 18″ square. I added a variety of hand and machine stitching to it, including these long orange tails on square knots. I used a “big stitch” on several of the fabrics, and French knots. If you’ll just let yourself go and not worry too much about the outcome, hand stitching on a small quilt can be really enjoyable. 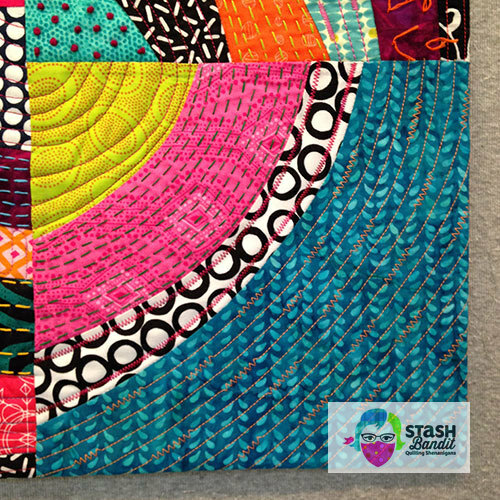 On Instagram, see more of past teal swap quilts under the hashtag #tealminiswap16. 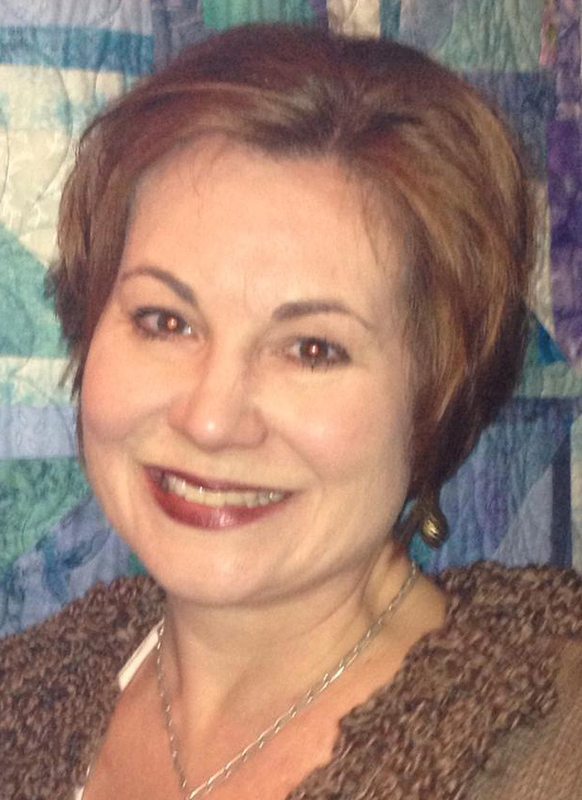 Beth is capping the swap at 650 participants this year, so it’s best to sign up right away. 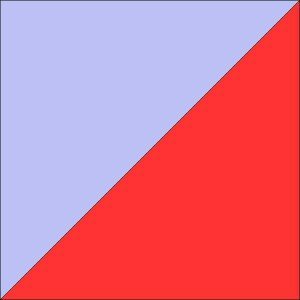 I’m looking forward to getting information about my partner and starting on a small quilt for a good cause.